Digital transformation has become center stage in the past few years as businesses seek to rejig their business models to suit changing customers’ expectations and ramped-up competitive pressures. Regardless, engaging with customers has remained of the most important goals of a business. High levels of engagement is key to expanding customer base, strengthening company reputation and boosting business growth. Digital innovation has changed how people interact with themselves and by extension, with companies. Not surprisingly, customer service has moved beyond the regular phone or email route to encompass social media, instant messaging and video chats. Companies are responding by offering multiple modes of communication for customers to reach them. But the demanding customer of today is not patient. When a company doesn’t respond quickly or fails to respond the customer may interpret that it doesn’t care, which can prompt them to switch brands. Solutions that enable quick responses and a seamless experience for customers at every touchpoint are vital tools. 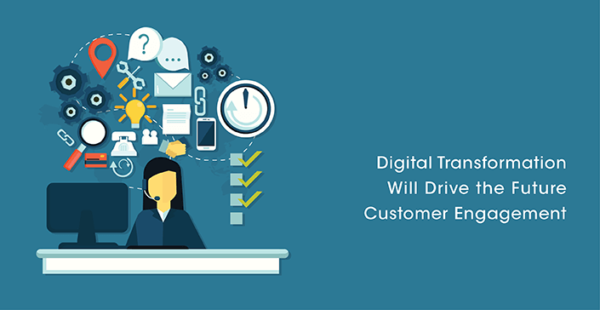 With digital interactions playing a major role in deciding customer satisfaction, the tools used by businesses must facilitate engaging deeply with customers. Answering questions for customers browsing online : Visitors exploring a website and its offerings often have requests for additional information or clarification. Live communication can be an easy way to tackle these situations and ensures that the customer doesn’t quit the interaction frustrated. Providing product walkthroughs or demos : Video chats are a great option in cases where customer is looking to discuss their product needs with an expert, or want to understand the product features better. Product demos is simple and effective with this tool, mimicking in-store experiences. Assisting online transactions : With many activities and transactions moving online, customers are keen to have easy access to company representatives in case of problems. With cobrowsing, agents can hand-hold customers through difficult transactions helping remove bottlenecks in sales. Handling product/service complaints : Solving product or service related complaints is the number one priority for customer service agents. With live interaction tools, the process becomes more effective as the agents are able to understand the problem clearly and solve it with minimum delay. Troubleshooting technical issues : It’s not uncommon for technical errors to pop up when least expected, causing customers anxiety and making them hesitate on a purchase. With video chats or tools like VeriTalk customer service agents can step in and handle the problem quickly and reassure customers.